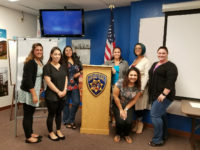 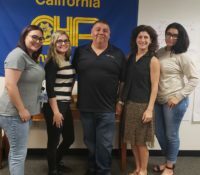 ROSEVILLE – Congratulations to three members of the California Statewide Law Enforcement Association (CSLEA) and CHP-Public Safety Dispatchers Association (CHP-PSDA) for receiving awards for the work they do as CHP public safety dispatchers or operators. 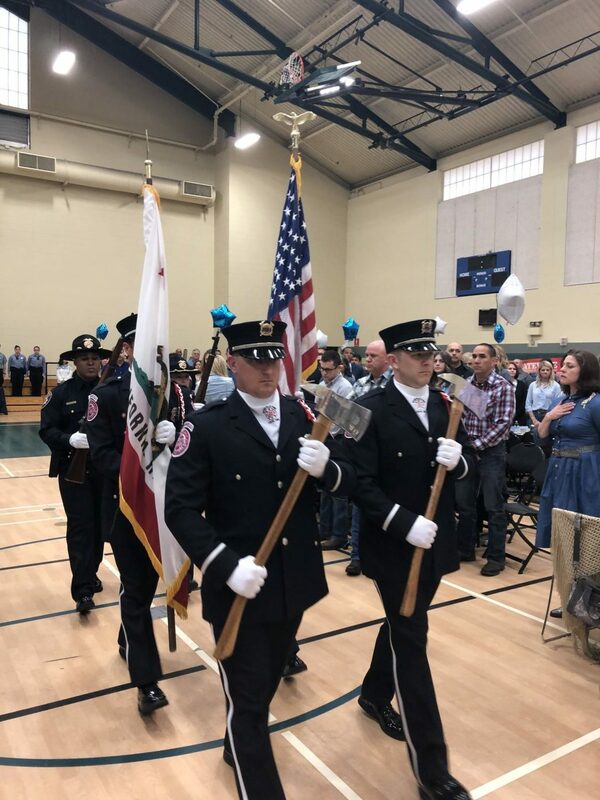 An annual awards ceremony banquet was held at the Mahaney Sports Center in Roseville on April 6, 2019 and was attended by CHP-PSDA Vice President Victor Tovar. 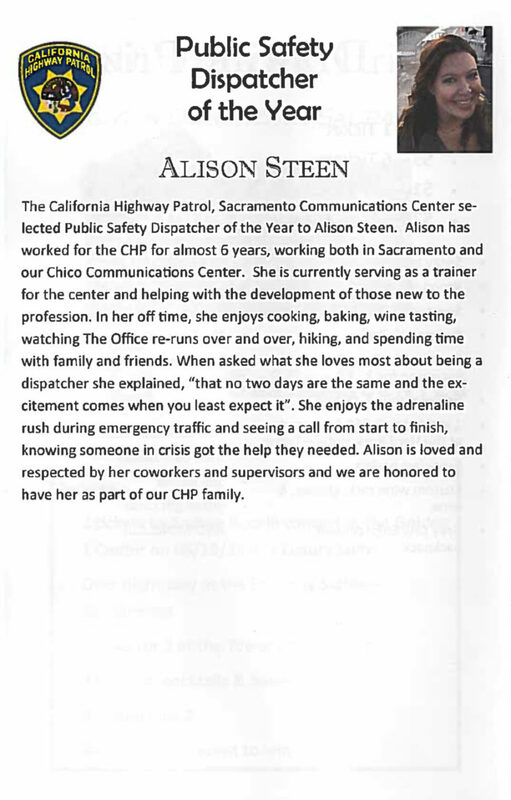 The Organization of Public Safety Telecommunicators sponsors the banquet and fundraiser. 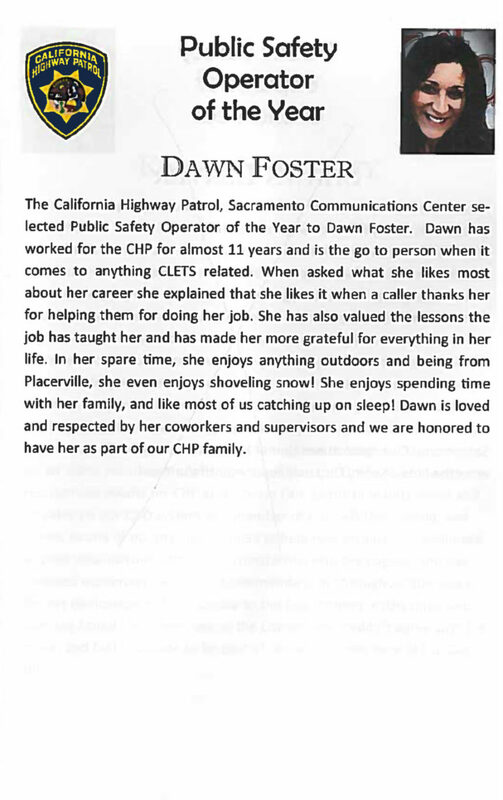 This year’s host agency was Roseville Police & Fire Communications. 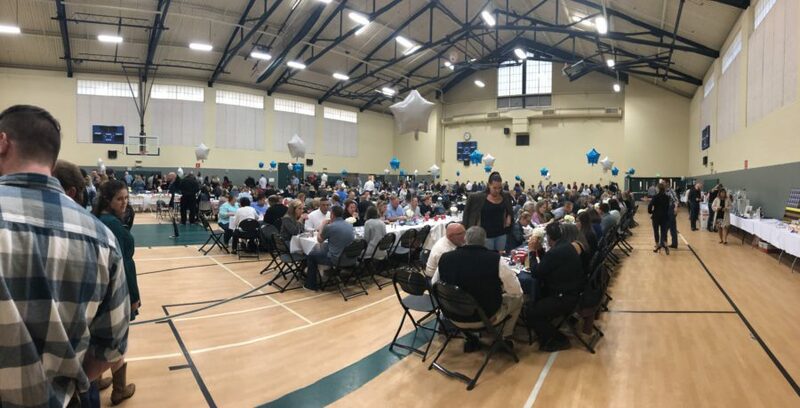 The banquet was attended by emergency response agencies throughout the greater Sacramento area.